Heritage Auctions joined with Dutch auction house MPO Auctions in 2015 to form Heritage Auctions Europe, officially operating a full-service office in Europe encompassing numismatics and Heritage's 39 other auction categories. With the entire staff of MPO staying on as part of the new company, the transition will be exceptionally smooth for existing clients of both firms. Heritage has held a presence in Europe for decades, but the merger represents a new chapter in the history of the company. We will now be able to offer in Europe all the services, benefits and capabilities that clients have come to expect from Heritage's offices in the United States. Whether it is evaluating a collection, picking up a consignment or answering general questions about Heritage, the Heritage Auctions Europe staff will be happy to assist with your needs. You can find the Heritage Auctions Europe staff at most major coin shows in Europe, or at their offices located just outside of Amsterdam. 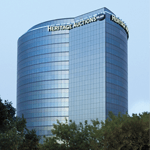 In addition to working with clients for its parent company, Heritage Auctions Europe also hosts its own auctions, separate from those of Heritage Auctions. 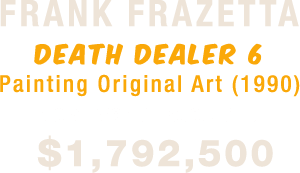 They host multiple auctions every year for coins, stamps, and other collectibles, with their coin auctions being particularly strong in Dutch numismatics. To view their current auction, visit their website at www.mpoauctions.com or contact them at HAEurope@HA.com.